What is long-term pain? There are broadly two types of pain - neuropathic pain and nociceptive pain. There is a tendency to think of pain as a useful symptom that might direct us to diagnose and treat an underlying cause so eliminating the pain and the cause. There is some truth in this but for the majority it is not the case. 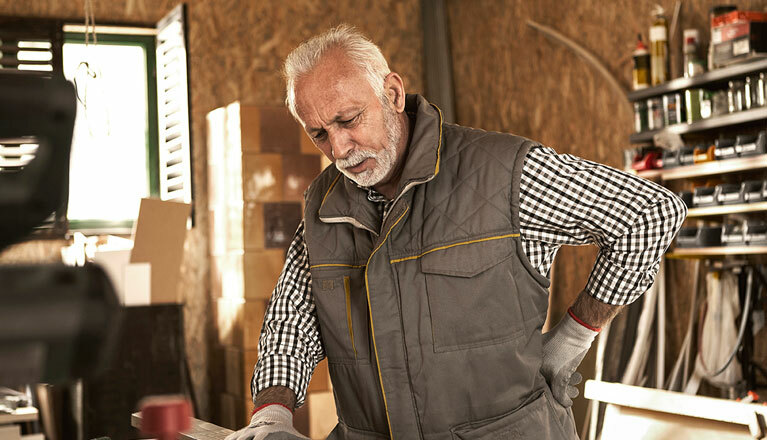 Persistent or chronic pain has several mechanisms that sustain it. There is the initiating cause, perhaps a muscle, joint sprain or injury causing an inflammatory cascade. The purpose of the cascade is twofold; bring healing cells to the injury but also initiate nociceptive pain mechanisms to immobilise the part of the body or whole subject to prevent further damage and allow subsequent healing. There is a cascade of pain signals that are amplified by the nervous system. This peripheral and central sensitisation (amplification) when unchecked is the mechanism by which pain becomes persistent or chronic. This is called nociceptive pain. Finally there is the effect of the nervous tissues of the body. For reasons that are not entirely clear, injury to any part of the nervous system whether in the peripheral body (EG. Sciatica, shingles, carpal tunnel syndrome and other nerve entrapments) or central nervous system (e.g. thalamic stroke or spinal cord injury can evoke and maintain pain. This is called neuropathic pain. Both nociceptive and neuropathic mechanisms co-exist. The degree and dominance of each can vary over time and from one individual to another. As human’s we adapt, some better than others, but pain becomes better to manage if understood as a long term condition rather than simply a short term curable problem. Here I explain the diiferent types of pain and explain which treatments will work. Back and leg pain is the most common long term pain condition with arthritis pain a close second. 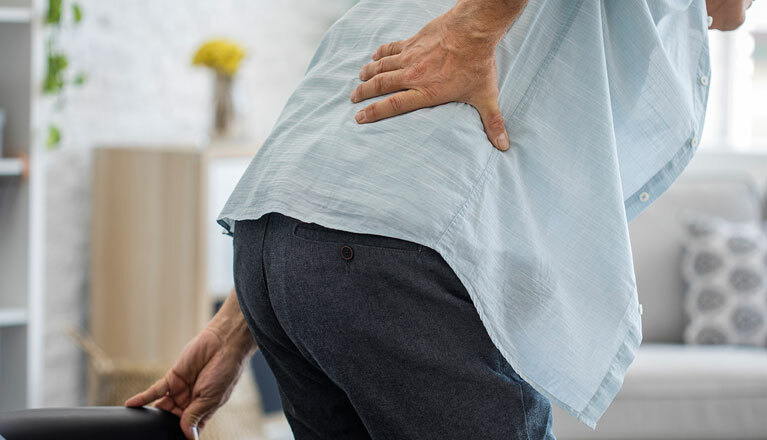 Most back pain will self resolve or require non-interventional management such as physical, exercise therapy with lifestyle adjustment (weight loss, avoid heavy lifting, regular exercise). In some of us the intervertebral disc wall may have leaked the soft gel within the disc and cause nerve root displacement and inflammation. Sciatica (leg pain) is caused by this. If rapidly progressive with evolving neurological disruption (eg foot drop, incontinence with saddle area numbness or catastrophic pain despite adequate palliation) and associated with an obvious surgical target on MRI scan, then an operation (microdiscectomy) is best. However there are many who have either persistent or recurrent pain despite this (sometimes called FBSS, Failed Back Surgery Syndrome) or who have the pain but without an obvious surgical target (Chronic radiculopathy, pain due to injury of nerve roots that make up the sciatic nerve). These syndromes are better managed differently. Up to 20% of the population suffer chronic pain. 8% of the population have neuropathic pain. This is pain generated by nervous tissue itself. Complex Regional Pain Syndrome is a specific diagnosis and requires a number of criteria and observed phenomena to label it as such. It is often initiated by a neuropathic mechanism and probably represents an unchecked over reaction of the pain mechanisms mentioned previously. At present we think in terms of two categories one where there has been an injury to named nerves (CRPS type 2 previously causalgia) and the other where there has usually been an injury (sometimes minimal, CRPS type 1 previously reflex sympathetic dystrophy). Sufferers experience pain, hypersensitivity to non painful stimuli like brushing (allodynia), swelling, colour, skin temperature sweating and nail changes; the extraordinary feature for a minority can be the non-selfing of the affected limb exemplified by disuse, dystonia and desire for amputation. Treatment requires early recognition, early physical therapy with desensitisation, movement exercise, anti-neuropathic medication, cognitive therapy and in some cases neuromodulation (spinal cord stimulation SCS).